Your dream smile can become your reality. Enjoy lifelong dental health with our treatments. Learn about restorative options with CEREC. Sedation options to minimize discomfort and anxieties. Welcome to the dental office of Dr. Kasarsky. Dr. Kasarsky was recently featured in a recent NEWBEAUTY article. Click here to read the full article! Our midtown New York City dental office strives to provide exceptional patient care. We realize that you have choices when it comes to the professionals who support your dental health. Therefore, our facility was designed around exceeding expectations. We have included the latest in dental and consumer technology. We know we can provide a wonderful dental experience. Please browse our site and contact us if you have any questions, concerns, or would like to schedule an appointment. 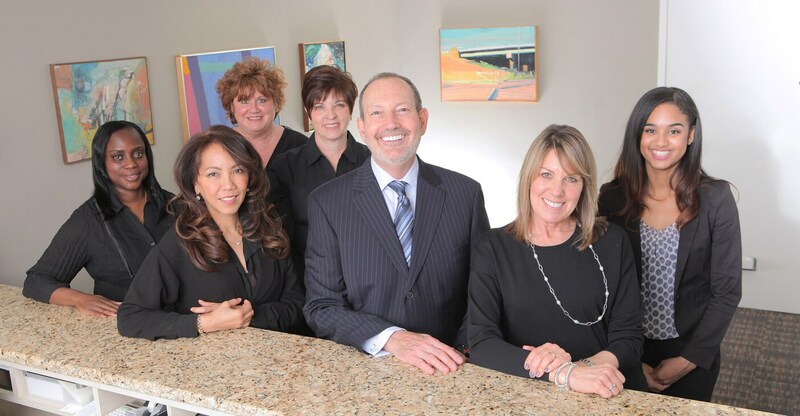 Dr. Kasarsky and his team make me smile! My smile is my signature, and I wouldn't trust it to anyone else! I have been going to Dr. Kasarsky for over a decade. Not only did his amazing work change my life, but every staff member there is warm, friendly, and caring. I always feel in good hands! Like many, I was not a fan of dentists; however, thanks to Dr. Kasarsky and his team I am a convert! As people, Dr. Kasarsky, Lori, Michelle, Karen, Marcel, and Marissa are simply the nicest and kindest. Never once have I entered their offices and not been greeted by name, had the team enquire as to my well-being, that of my family, and just life in general. They don’t know the meaning of judgmental, and show deep empathy for their patients, including remembering the littlest of details and preferences from visit to visit. In a professional capacity, their talents are unequivocal. Dr. Kasarsky is akin to the visionary, architect, builder, and interior designer all rolled into one magic wand. I originally visited to fix old root canals and broken front teeth that stopped me smiling; but, came away with so much more. Within seconds of looking at my initial x-rays Dr. Kasarsky asked if I suffered from migraines – I did, for 20+ years. 20+ years of debilitating nightmarish migraines at least twice a week that had impacted every aspect of my life – personal, work, fitness, everything; and, numerous doctors had been unable to help. Dr. Kasarsky said my bite was mis-aligned and he suspected that was contributing to, if not causing, my migraines. No doctor and no other dentist in 20+ years had taken the time to assess my bite and jaw line, never mind consider the potential consequences. One visit later to Dr. Kasarsky and my bite was re-aligned and I have not had a migraine in nine months – hallelujah!! With the bite realigned Dr. Kasarsky proceeded to fix the old root canals, old fillings and broken front teeth and on each visit my comfort was first and foremost – they never rushed me, everything was at my pace, at all times they made sure I was pain free, always informed, in-budget, and they even made sure to have tennis on the tv for me! Not once did Dr. Kasarsky fail to contact me himself the day after a visit to check on me and make sure I was pain free, happy with the progress, and informed. And now, my family, my friends, and even strangers continually compliment my teeth and my smile. Thanks to Dr. Kasarsky’s artistry my smile is remarkably perfectly imperfect and I feel compelled to show it off! I never liked to, or even wanted to smile, and now I beam. It is amazing the power of your own smile on your own psyche. I owe Dr. Kasarsky and his team so so much. Not only have they rebuilt my smile, but they have restored my life – I smile and laugh again, I play tennis again, I’ve lost 20 lbs, I’m dating again … I’m living again – and it’s all thanks to their expertise, attention to detail, and compassion. Thank you will never be enough. Like many, I was not a fan of dentists; however, thanks to Dr. Kasarsky and his team I am a convert! As people, Dr. Kasarsky, Lori, Michelle, Karen, Marcel, and Marissa are simply the nicest and kindest. Never once have I entered their offices and not been greeted by name, had the team enquire as to my well-being, that of my family, and just life in general. They don't know the meaning of judgmental, and show deep empathy for their patients, including remembering the littlest of details and preferences from visit to visit. In a professional capacity, their talents are unequivocal. Dr. Kasarsky is akin to the visionary, architect, builder, and interior designer all rolled into one magic wand. I originally visited to fix old root canals and broken front teeth that stopped me smiling; but, came away with so much more. Within seconds of looking at my initial x-rays Dr. Kasarsky asked if I suffered from migraines - I did, for 20+ years. 20+ years of debilitating nightmarish migraines at least twice a week that had impacted every aspect of my life - personal, work, fitness, everything; and, numerous doctors had been unable to help. Dr. Kasarsky said my bite was mis-aligned and he suspected that was contributing to, if not causing, my migraines. No doctor and no other dentist in 20+ years had taken the time to assess my bite and jaw line, never mind consider the potential consequences. One visit later to Dr. Kasarsky and my bite was re-aligned and I have not had a migraine in nine months - hallelujah!! With the bite realigned Dr. Kasarsky proceeded to fix the old root canals, old fillings and broken front teeth and on each visit my comfort was first and foremost - they never rushed me, everything was at my pace, at all times they made sure I was pain free, always informed, in-budget, and they even made sure to have tennis on the tv for me! Not once did Dr. Kasarsky fail to contact me himself the day after a visit to check on me and make sure I was pain free, happy with the progress, and informed. And now, my family, my friends, and even strangers continually compliment my teeth and my smile. Thanks to Dr. Kasarsky's artistry my smile is remarkably perfectly imperfect and I feel compelled to show it off! I never liked to, or even wanted to smile, and now I beam. It is amazing the power of your own smile on your own psyche. I owe Dr. Kasarsky and his team so so much. Not only have they rebuilt my smile, but they have restored my life - I smile and laugh again, I play tennis again, I've lost 20 lbs, I'm dating again ... I'm living again - and it's all thanks to their expertise, attention to detail, and compassion. Thank you will never be enough. Our goal is to make you smile. Along with offering the latest in treatment disciplines, we are dedicated to providing an exceptional practice for our patients and staff. Please navigate our site and call us if you have any questions, concerns, or would like to schedule an appointment. Located in Midtown Manhattan near Central Park. Designed for a luxurious and relaxing experience. Preventative, cosmetic, and restorative dentistry. See how our patients’ smiles light up New York.